Felt ornaments. 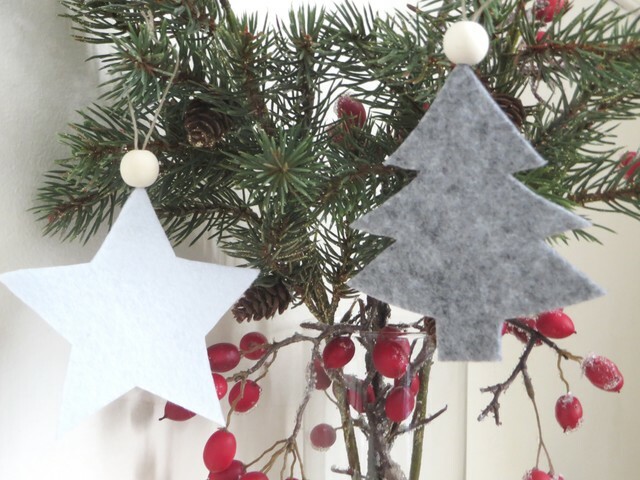 Wool felt is a lovely material to work with, and these ornaments couldn’t be easier. Use a simple template (a tree or star cookie cutter would work well) to trace and cut out shapes from a piece of felt. Thread a loop through the top using embroidery floss or twine, and slide a wooden bead onto the loop as a finishing touch. Felt ornaments with wooden bead.